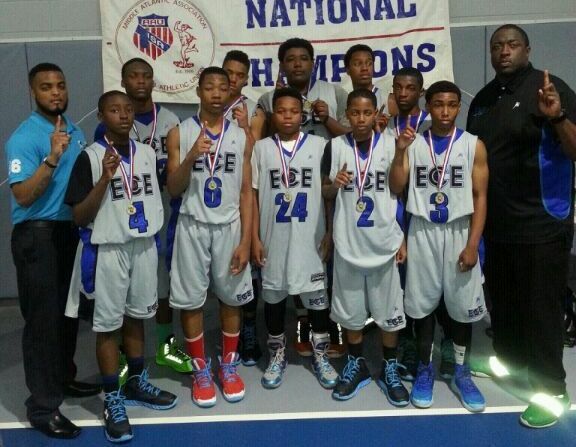 BASKETBALL SPOTLIGHT NEWS: Mid Atlantic AAU 7th Grade Championship Recap: ECE Grabs Crown! Mid Atlantic AAU 7th Grade Championship Recap: ECE Grabs Crown! Chris Cropper and Jamal Whittlesey scored 20 points apiece as ECE defeated Team Rebels 71-54 to win the Mid Atlantic AAU 7th Grade Regional Championship. Congrats to ECE for winning the championship and we wish them good luck at the AAU Nationals.